The Papua New Guinea Government is committed towards supporting the Rugby League World Cup 2017 with PNG hosting three pool games. This was revealed by Prime Minister and Minister for Sports Peter O’Neill at Monday’s SP Hunters arrival reception at Jackson International Airport in Port Moresby. “We are really proud of the win and achievement and as a team they have shown what we can do as a country,” O’Neill said. He added the team and the players have ensured that all the trust that we the government, corporate sponsors and supporters bestowed upon them paid off on a high note by winning the Intrust Super Cup grand final. “PNG government is one of the major sponsors for the three RLWC 2017 pool matches and we will be putting K5 million to the whole preparation program for this world sports event,” O’Neill said. “The government is the biggest investor in rugby league. 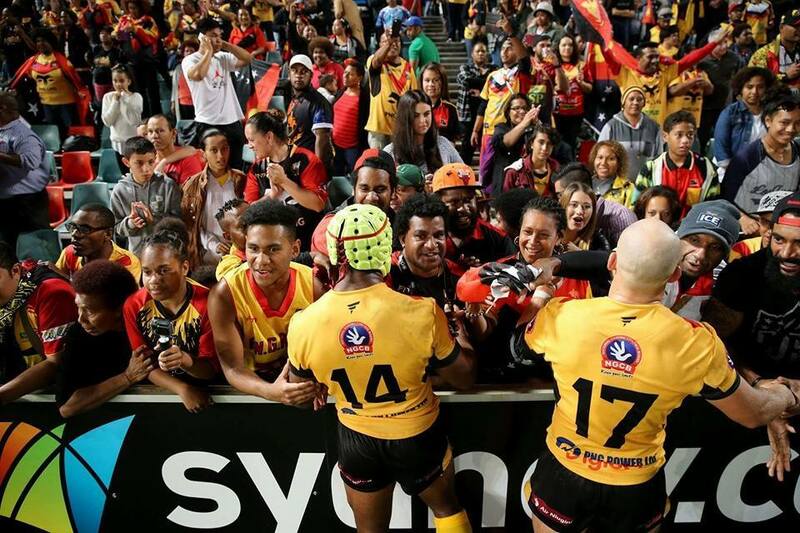 He said Papua New Guineans are known for their passion towards playing and supporting rugby league and when the people are happy, the government is happy to support such human integral development of promoting rugby league and sports. “I was still on the 16-hour flight from the United States to Australia while the team was playing. “This is the women’s first international game despite not having a strong women’s competition and we should all give credit to them,” he said. “We were not expecting them to score a try but they proved it all wrong by scoring try.”.